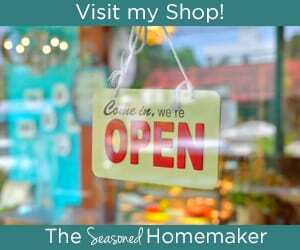 With Back-to-School just around the corner I thought I’d gather together a few of my easy projects that can be adapted for kids returning to school. The tutorials aren’t too difficult and go together quickly. They have the added benefit of being scrap-busters which is perfect for all of you who have huge stashes and not a lot of time. Do you have a little student who dreams of being a princess or super hero? You’re in luck because there are a ton of endless novelty fabrics that can be combined with one of these simple patterns to create something personal and unique for your little students. Perfect for holding scissors, glue, pencils, sharpeners, and tons of other bits and pieces. Having tabs on the sides makes this bag easy for students to pull out of a locker or backpack. The bag sews up in about an hour. If you plan to make several then I’d suggest doing a small assembly line. 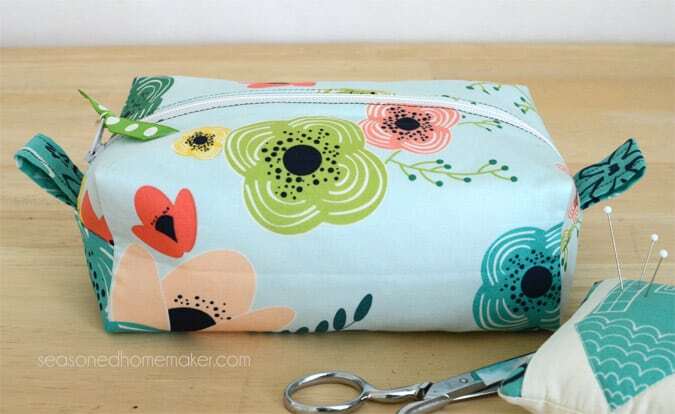 If the Zippered Box Pouch is too bulky for your student, try making this flat zipper bag. It would sit nicely on a locker shelf or you could add a loop that would allow the bag to hang. 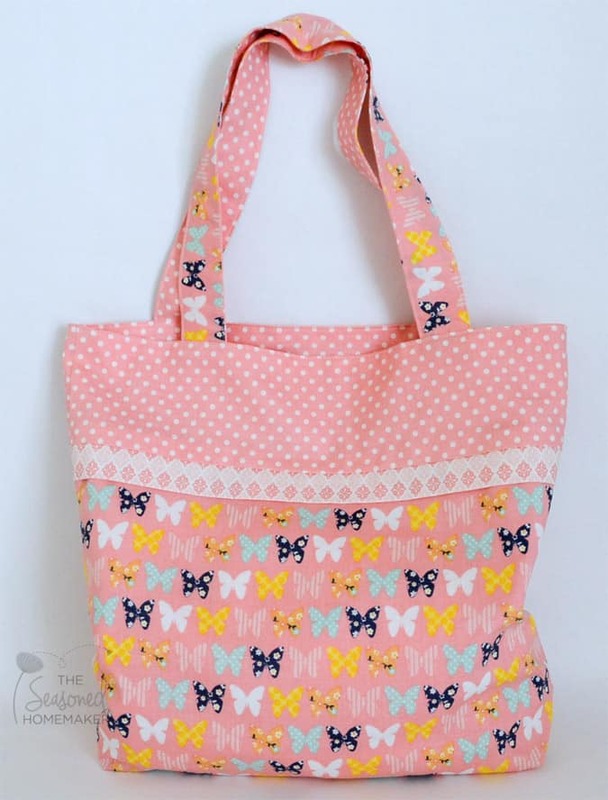 This bag is easily personalized; instead of appliquéing teacups, you could add a child’s name to the insert. The bag uses 2.5″ charm squares which means there is very little cutting and one charm pack can be used to make several bags. Once the squares are assembled the bag goes together quickly. Of course, you don’t have to use the small squares. You can make this bag quickly by eliminating the patchwork and replacing the space with a square piece of novelty fabric. Totally cute and infinitely unique. A while back I revamped this pattern for Fat Quarter Shop, giving the bag a new look. 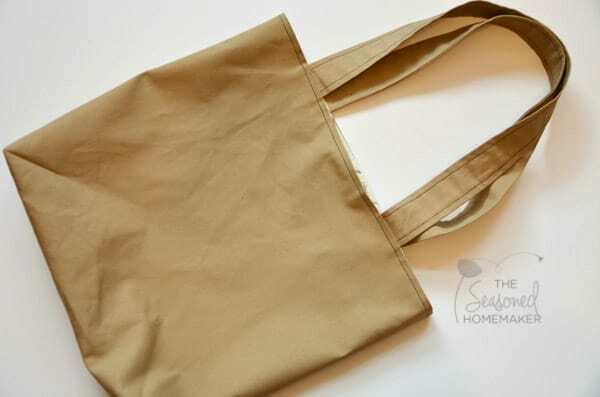 If you click on this link, you will be able to download a free PDF pattern to make a modified version of the bag. The instructions are simple and easy to follow. Imagine all of the possibilities with fabric combinations and appliqué! Getting a good night’s sleep is vital for every student. Making personalized pillowcases for kids will make going to bed a little more fun. This pattern is simple and straightforward. The pattern can be sewn up in about an hour and is pretty fool-proof. Watch for an accompanying video that is about to be released! 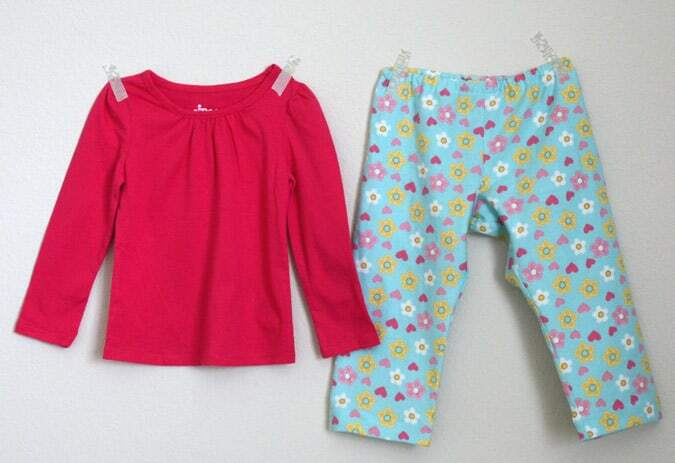 A new pair of pajamas completes a back-to-school wardrobe. Why not make them unique and personalized for your little ones. These instructions will show you how to sew up a pair of pajama pants using a discounted pattern. Add an inexpensive t-shirt to complete the set. 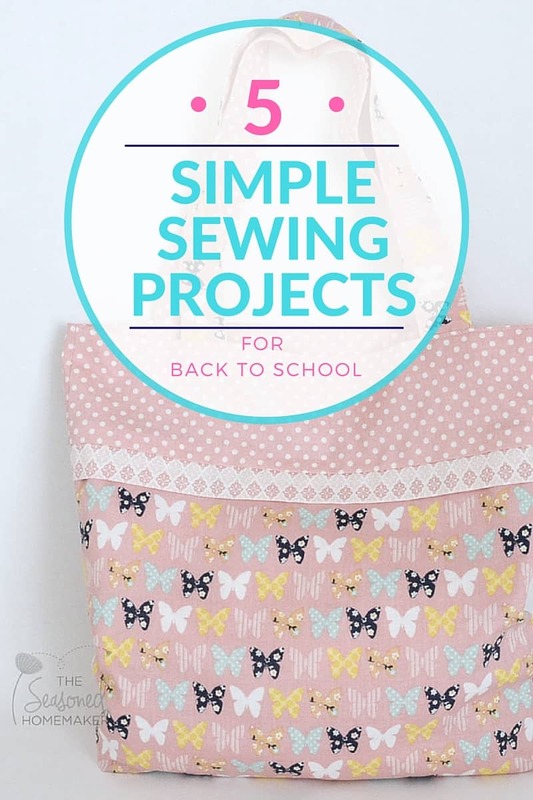 Back-to-School sewing can be fun, fast, and easy. Perhaps one of your kids or grandkids want to learn to sew. Most of these projects are ideally suited for beginners and imagine their smiles when they pull out a pencil bag they’ve made or carry books home in a bag they’ve designed. « What’s Your Sewing Personality? Leslie, thank you for your great tutorials! I am excited to make the zippered box pouch for my oldest granddaughter for her 1st day of Kindergarten. I made her younger sister a little pencil pouch for her 3rd birthday, and when the family was sorting through things to get ready to move from Japan to Arizona (they are military), the 5-year-old was absolutely distraught that she couldn’t find the pencil pouch Mimi made her. (I never made her one!) This looks like a perfect project for that, and I will probably also make one for my youngest step-daughter, who is hard to buy for. She bought a few coloring books and a box of colored pencils, so she can put her pencils in this! I love the look of the box pouch and will definitely be trying that one and i have had ( for quite awhile now ) the tutorial on the patchwork zipper case which will get done soon. Thank you for some lovely ideas. I have 2great granddaughters who want to learn to sew. This pj pattern is what I can use to start them. 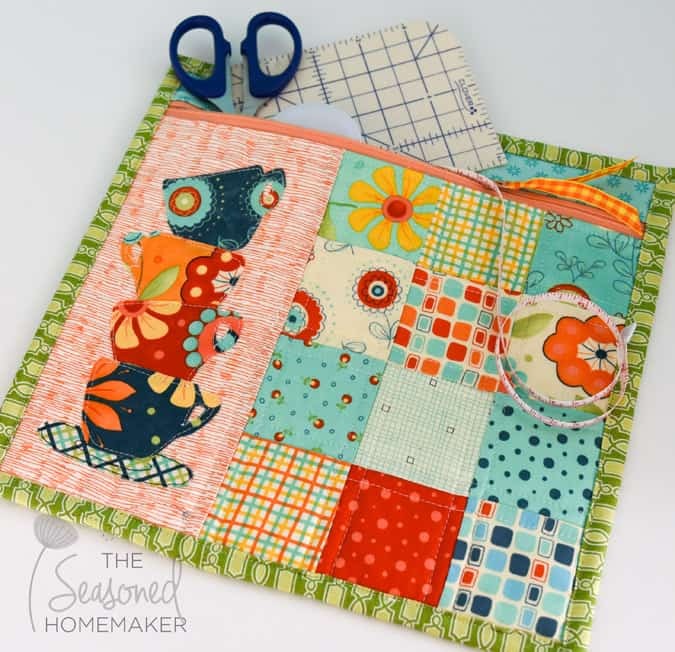 Love the colorful and fun sewing projects you posted. They are especially good choices because both you and your “student” child can make them together. Some of my fondest memories are sitting on the floor in my mother’s sewing room and watching her make dresses. Still today I see here and her old Singer sewing machine.. Please keep up the great blog posts. txs.